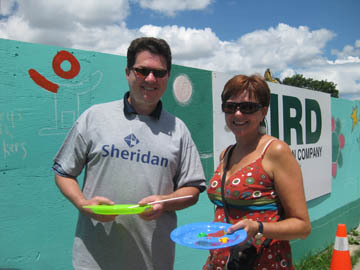 Participated in painting Sheridan’s Temporary Outdoor Mural (approx 200ft) for their new Business Campus with a team of 10 Sheridan students, many community members, neighborhood schools, Mississauga's Mayor Hazel McCallion and city counselors. 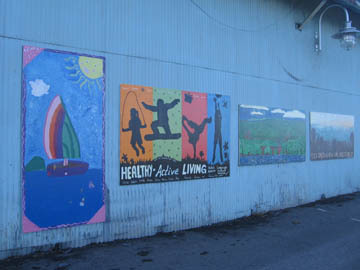 It took 5 days to complete this awesome peace of community art . 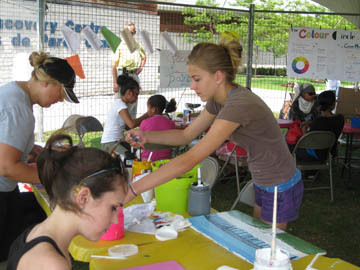 I ran, overlooked and mentored these Youth-Led Community Action Projects partially funded by the Hamilton Community Foundation. 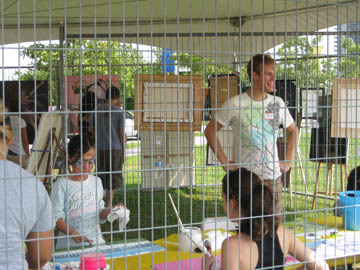 My responsibilities: guide and mentor 7 young artists from the organizing committee, help with fundraising, administration and documentation of these projects that grow every year. 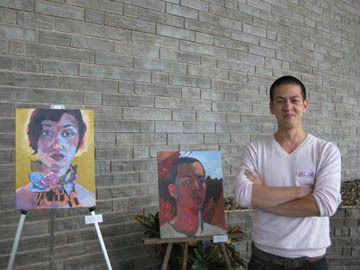 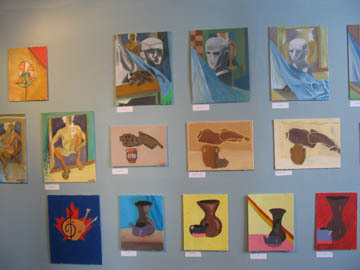 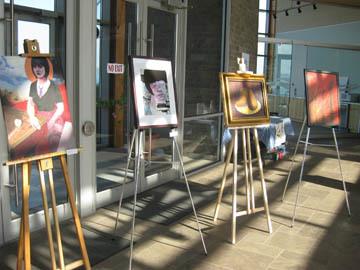 In 2010 there were more than 150 submissions and more than 600 participants. 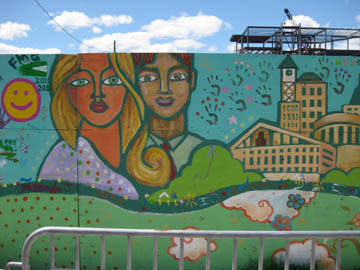 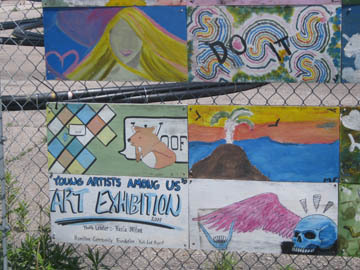 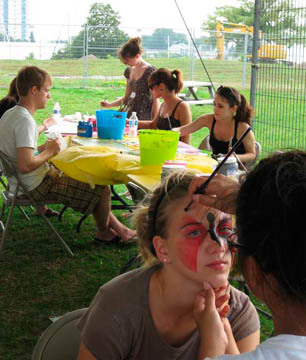 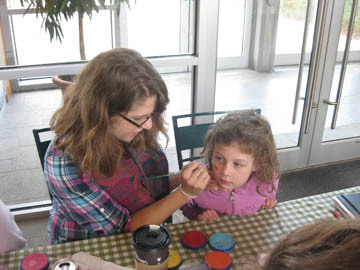 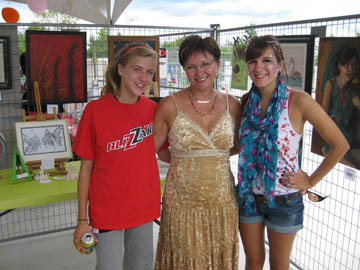 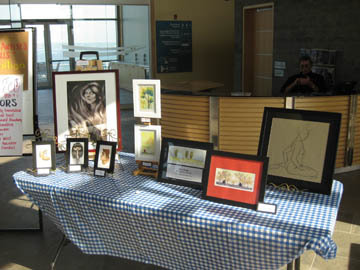 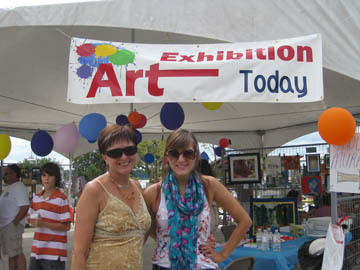 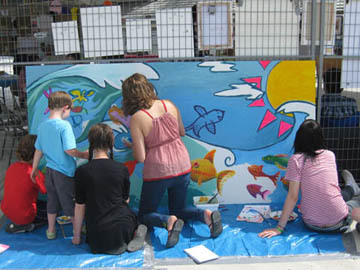 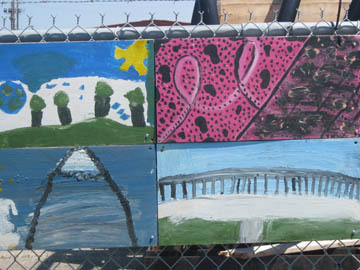 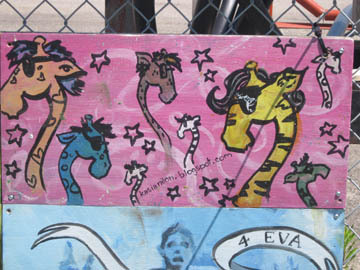 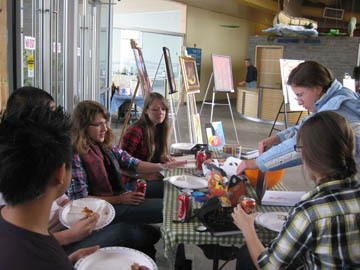 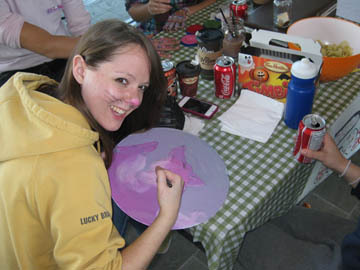 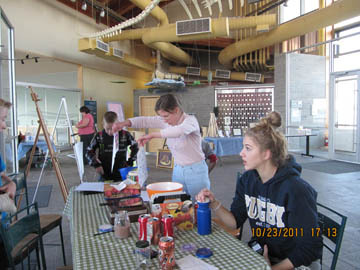 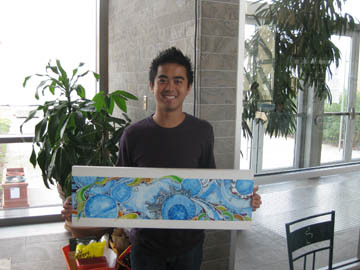 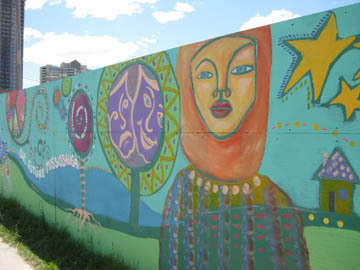 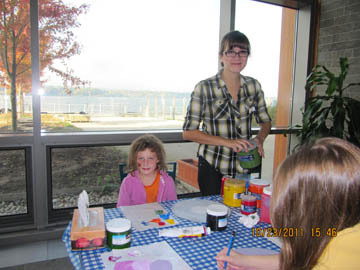 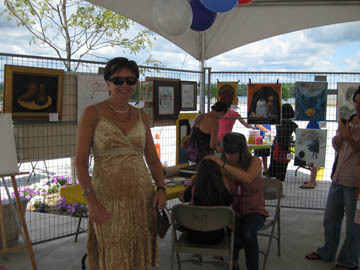 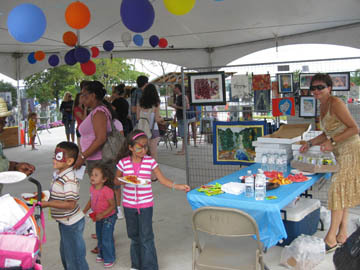 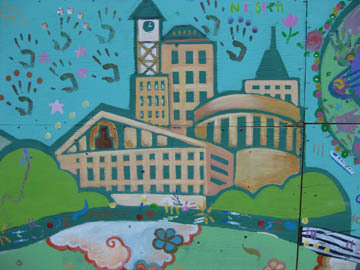 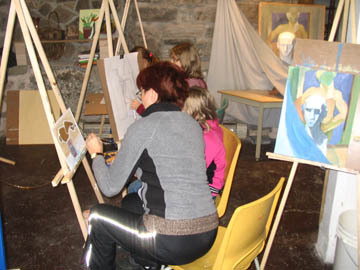 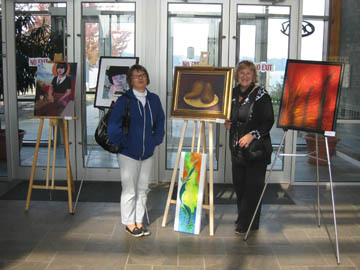 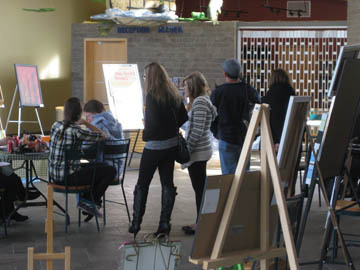 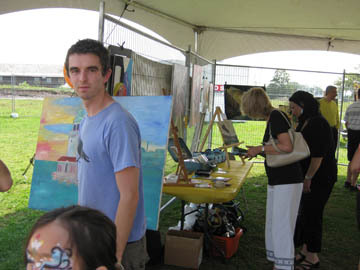 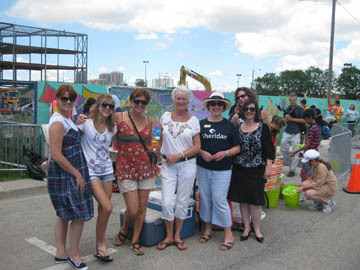 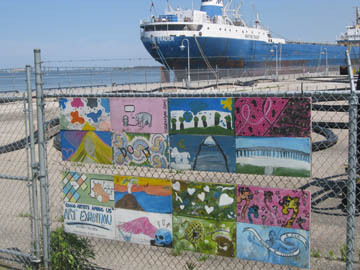 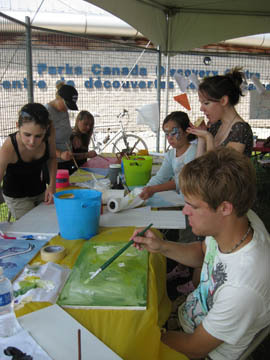 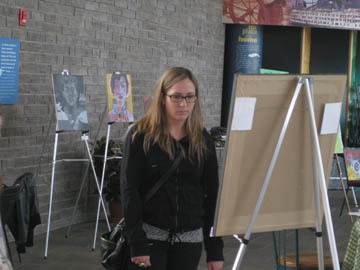 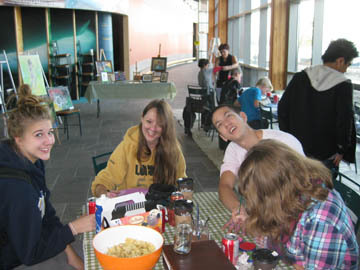 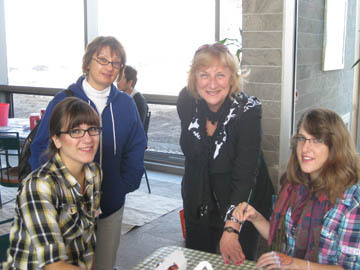 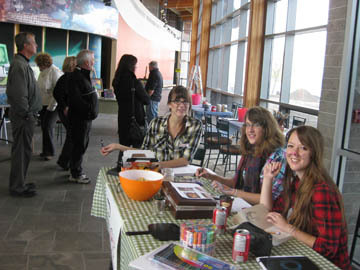 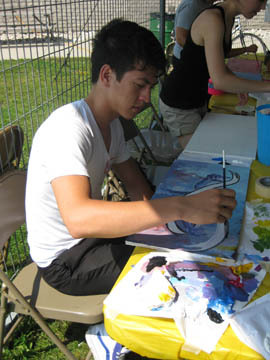 This event included an outdoor art exhibition at the Hamilton Waterfront; face painting, workshops for young children and painting a group mural. 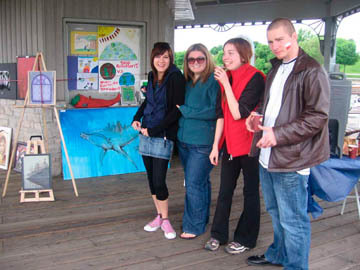 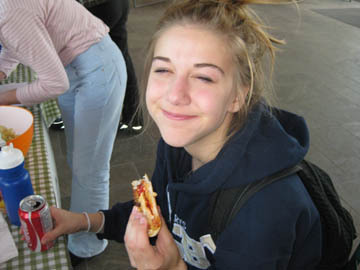 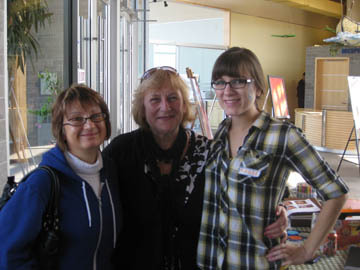 The project run in collaboration with youth from the Polish Canadian Women’s Federation and children attending the Polish Heritage Schools from Hamilton Wentworth Separate District School Board were taught about waste, recycling, etc through drawing and painting workshops and went on final trip to Waste Centre in Hamilton and the Science Centre in Toronto. 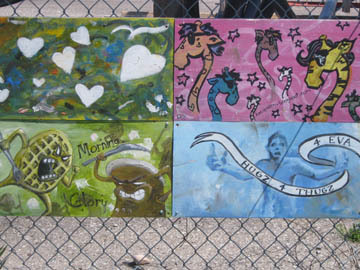 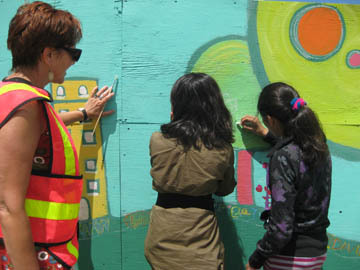 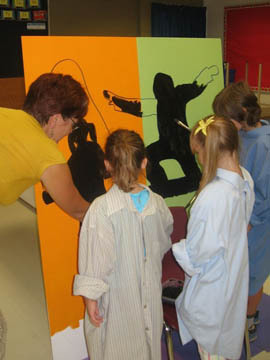 I led mural painting projects based on diversity and equality at Central Public School in Hamilton. 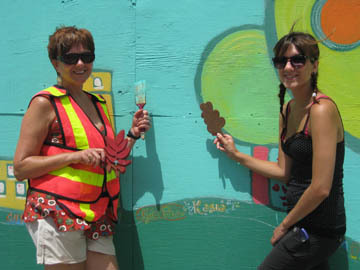 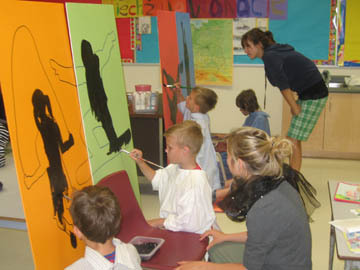 The two "True Colours" murals were created with 90 children, grades 3 through 5. 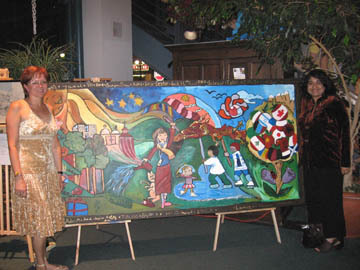 Participated in conference organized by Mural Routes, Toronto and painted an indoor mural in Kitchener with Canadian Muralist, John Hood. 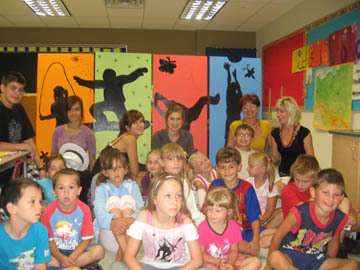 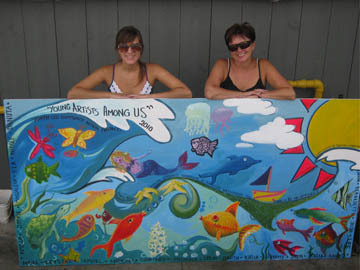 Leading Artist in the "Start to Speak" Mural Project. 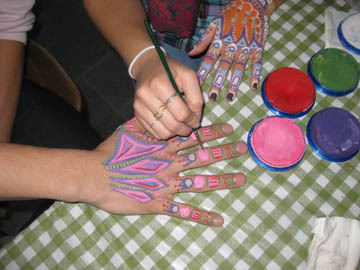 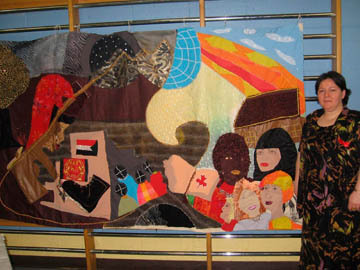 The goal of this Women Community Art Project was to empower the immigrant women from Afghanistan, Somalia and Sudan. 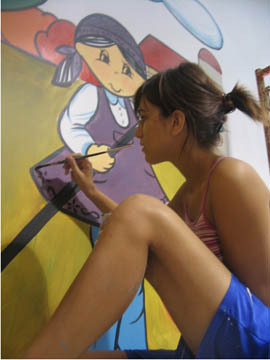 Stories of women were transferred into two pieces of art. 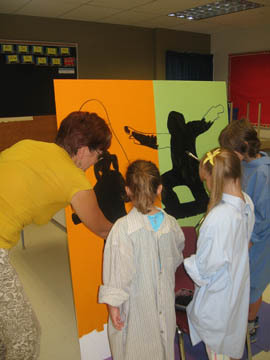 One piece was painted on a canvas; the second was sewn using different colour fabrics, beads and threads.